When Oxford Dictionaries coins “vape” word of the year, you know the industry is blowing up mainstream culture. And the numbers suggest that this isn’t a fad that’s going away anytime soon—by 2025, the vaping industry is projected to be worth $61.4 billion. It’d make sense for entrepreneurs, both new and established, to want a piece of this lucrative industry and start a vape shop. How did vaping get so popular? A lot of it comes down to the decline of smoking as a result of our newly health-conscious society. According to research, it isn’t necessarily healthy, but vaping is less harmful than smoking old-school cigarettes. And as more states legalize marijuana, vaporizers made specifically for marijuana have peaked in sales, too. And when an industry becomes this popular, the business world takes notice. In their research, Quartz found that there are about 2.7 vape shops for every bowling alley in the US, and they continue to be one of the fastest-growing business trends today. If starting a vape shop is something that entices you, below are a few points you should consider about the costs of doing business. We’ll be straight with you: Starting any small business is no easy feat, but thanks to FDA regulations, taxes, and other crucial logistics, owning a vape shop can be a particular challenge. That said, in 2016 there were an estimated 35 million vapers worldwide, with the US representing the largest market by far—and someone has to provide those enthusiasts with the supplies they demand. If you’re determined to be your vape community’s supplier, keep the following steps, and their costs, in mind as you launch your vaping business. Check out your state or local vape taxes. A word of warning: Depending on where you live, super-high excise taxes on vaping products can make your brick-and-mortar location a non-starter. Although there’s no federal excise tax on vape products at the moment, certain states and municipalities do levy taxes on these products, either as a percentage of the product’s wholesale value or per unit or milliliter of liquid. The tax values vary across these states and localities, but the highest rates (like Minnesota’s 95%, or D.C.’s 70%) can make running a vape shop prohibitively expensive, as vape shop owners need to hike up their prices accordingly—and potentially lose business to lower-priced online sellers. Consider licensing, permit, FDA regulations, and business registration requirements. If you’ve decided that you can swing your state or city’s vape tax (if that’s applicable), your next step is to research federal, state, and local laws. As of 2016, the FDA considers e-cigarettes to be tobacco, so you’ll need to comply with the government’s specific regulations about selling vape products (which now includes labeling all packages and advertisements for covered tobacco products with a health hazard warning). 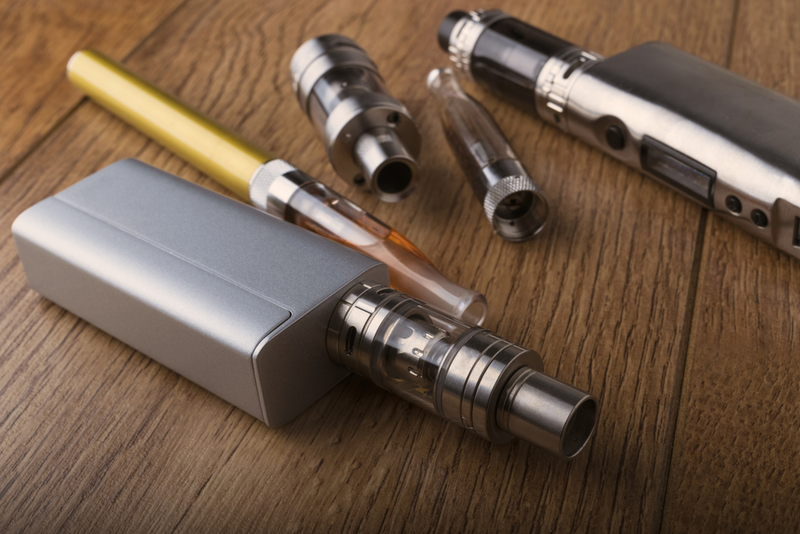 And if you also “mix e-liquids, make or modify vaporizers, or mix loose tobacco,” you’ll actually need to comply with the FDA’s tobacco retailer and manufacturer regulations. Depending on your state, county, or city, you might need to acquire additional licenses and permits to legally open and operate a vape shop; fees for your permits and licenses will vary according to your location, too. Then, just like any other business, you’ll need to set yourself up as a business entity to protect your personal assets in case of a lawsuit. LLCs, S-corps, and C-corps all include limited liability protections, so they might be your best bet. Once again, the costs of registering a business vary from state to state. Account for your essential startup costs. No matter what industry they’re in, every soon-to-be small business owner needs to take a few steps before launching their brick-and-mortar locations. Opening a business bank account, scouting and securing a location, agreeing on a supplier, purchasing a point of sale and accounting software, launching a marketing campaign, and hiring and training staff are just a few of those vital first steps. You’ll need to account for your startup costs throughout the whole process. It’s a good idea to purchase your inventory through a wholesale supplier, so you can essentially buy double the stock at half the price. Just do your research to make sure you’re not sacrificing quality for quantity. So, what’s the all-in cost of starting and running a vape shop? In a 2013 report, Jon Merton, founder of Vapor Craze in Long Beach, Calif. estimates that running a vape shop costs anywhere between $7,420 to $10,020 minimum monthly, but that’s not including product. Merton also recommends having $50,000 to start a vape shop, but that you have enough to cover six months’ worth of expenses. Vape shops in particular need to think about what kind of insurance policy they need—and possibly factor high insurance fees into their startup budgets. According to internal data, Insureon says that vape shops pay much more for insurance than other retail shops. Where the average annual cost for small business owners holding the company’s General Liability Insurance policy was $591.13, vape shops’ coverage for the same policy cost an average of $711.11 annually. But the exact cost of your insurance policy will depend on risk factors like your projected revenue, the value of your property and equipment, and the value, type, and amount of products your stock. Although you can purchase your insurance through general insurance companies, know that there are also niche insurance brokers with policies geared specifically toward covering vape shop property and products. E-juices, health hazard and defective products, your brick-and-mortar location—there’s an insurance policy for all of the above. Know that it might be a challenge to find funding to start a vape shop. Aside from preparing for high upfront costs, vape shop owners should also know that it’s hard to secure financing in this business. Despite its high profitability, banks put your industry in the riskiest category, so you’ll have a hard time gaining approval from the biggest financial institutions in your area. Even beyond the industry-risk factor, banks generally won’t fund startups, period. Brand-new ventures don’t have the credentials—like time in business, strong revenue, and profitability—to prove to these institutions that they can repay what they owe. Although certain online lenders are open to funding vape shops, even they often won’t issue loans to startups, either. Instead, the newest vape shops might want to look for alternative sources of funding to get their ventures off the ground. Crowdsourcing, bootstrapping, friends and family loans, and personal loans for business are all popular, and attainable, funding options for brand-new businesses. Use a business credit card to fund your vape shop (for now). If you’re determined to secure a true business loan—and separate your personal and business finances and build business credit from the get-go—you can start using a business credit card to pay for your smaller expenses. Although card issuers do ask for your industry and time in business on your application, it’s highly unlikely that they’ll turn you down on the basis of either stats. Really, card issuers mostly care about your personal creditworthiness and your ability to pay back the credit you use. So, expect the card issuer to make a hard credit inquiry when you apply for your card, and that they’ll ask about your business’s financials. Don’t worry if your vape shop doesn’t yet have an annual revenue; as the primary cardholder, you’ll provide your personal income and outstanding debt, too. Of course, credit cards can become expensive if you carry a balance month to month. But assuming you pay your bills in full every month (which is simply a best practice of card ownership, anyway)—and you choose a no-fee business credit card—plastic might be your most affordable option to cover some of your initial expenses. It’ll certainly be one of your most accessible right now. 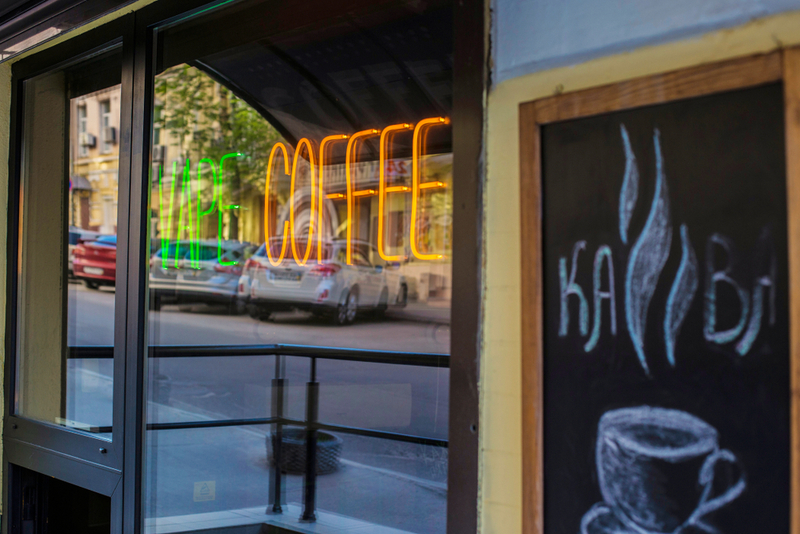 Down the line, once you’ve built up your credit score and business’s finances, you can turn to one of those vape-shop-friendly alternative lenders for a bigger business loan. Make a profit by knowing your market. As pretty much any small business owner can tell you, the only way to make a profit is to fulfill a demand in the marketplace. But that can be especially tricky for vape shops, as there’s no dearth of nicotine vendors in the market, either in-store or online. Some customers might just be making the switch from cigarettes to vaping, so you may also be competing with traditional cigarette vendors in your area, like gas stations and convenience stores. The best tactic may be to focus on your market, rather than the competition. Find out who your customers are, what they want from their vaping products and shop, and offer them exactly what they’re looking for. Think about the kind of inventory you’ll stock to give people a reason to return to your vape shop over others in the area. Not only should you offer e-liquids in a wide selection of flavors, you should also consider the different levels of nicotine strengths people prefer. The vape world has been called a subculture, a mainstream culture, and even a political movement. Regardless of how people categorize it, there’s no doubt that vaping is a community, and vape shops are—or can be—the epicenter of that community. If you’re going to open up a vape shop, think about how you can become a gathering place for your local vapers. Will you host events, like movie nights and book signings? Can you stock more than e-cigarettes and liquids, and branch out into snacks, beverages, and merchandise made by local artisans and vendors? Consider your store’s layout, too. Is it comfortable, clean, inviting, and does it allow vapers to sit and chat with one another? If not, it might be worth investing in better furniture and decor to make that happen. You might then find that your vape shop has an edge above the others (and rakes in a bigger profit), simply because people want to hang out there. And while many community-oriented shops generate traffic through word-of-mouth recommendations, it’s always a good idea to have a marketing plan in place. If you’re on a very tight budget, start by creating a strong social media presence and engaging with your customers on platforms like Twitter, Instagram, Facebook, and Snapchat. You’ll want to create a website, too, which at least includes your business’s location and hours, as well as links to those social media profiles. Even when you’re planning your marketing campaign, though, you’ll need to make sure you’re complying with the FDA’s regulations on selling e-cigarettes—which, for instance, prohibit displaying advertisements for e-cigarettes without a health warning statement. Are You Ready to Start a Vape Shop? If you’re determined to open up a vape shop, know that you’ll encounter challenges at many turns—prohibitive excise taxes, strict FDA regulations, competition from online sellers and traditional nicotine vendors, and trouble securing funding can all put your vaping startup at risk. But if you can navigate these roadblocks, and keep your doors open as the FDA rolls out more (and potentially devastating) e-cigarette regulations in 2022, you and your local vaping community will be happy to own a slice of this $5.5 billion industry.